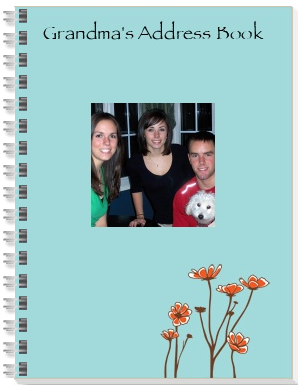 Thanks to the recommendation of my friend Shannon, I picked up a personalized Address Book for my mom. The total came to $1.59 shipped. (Mom…don’t look at this picture otherwise you will spoil your surprise!) Note: Once you sign up with Snapfish. Go to “My Account” in the upper right corner. Click on “Redeem” to start shopping for your photo gift. You can not use any other discount code or your $10 will not be used. Once you upload your first photo, you will also have a credit for 20 FREE 4×6 prints.